In Defense of Joseph: Is DNA proving Joseph Smith was not a polygamist? According to both a 2016 article and a 2011 article in Deseret News, eight of twelve children that Joseph Smith, Jr. allegedly fathered by plural wives have been proven by DNA not to be his children. This is too substantial of a number (two-thirds) to be ignored and has great implications in proving that Joseph didn't practice polygamy. It is interesting, though, that Web sites promoting Joseph Smith as a polygamist either ignore these findings or state they only prove that he didn't have children by these plural wives--not that he didn't have plural wives. However, the fact of the matter is that presently these findings strongly suggest that Joseph Smith did not practice polygamy. So, how will not having any children by alleged plural wives prove that Joseph didn't practice polygamy? To answer this question, we must first understand one of the basic purposes of practicing polygamy in the early LDS Church. According to the article on Women and Polygamy at the Mormon Polygamy Web site, "...one of the stated purposes of polygamy was to 'raise up seed unto the Lord....'" In addition Todd Compton, a noted author regarding Joseph Smith and polygamy, in an article for the Signature Books Library, The Four Major Periods of Mormon Polygamy, states "There [in Nauvoo] he [Joseph Smith, Jr.] combined restorationist biblical polygamy with the idea that one gained a higher status in the next life based on the quantity of wives and offspring in this life. This gave the religious rationale for large plural families in later Mormonism." Also, "with very few exceptions ... polygamy was oriented toward childbearing." It would appear, then, that having children was an objective of plural marriage. Further evidence supporting this purpose of polygamy is found in the Utah LDS interpretation of Book of Mormon scripture. The Utah LDS Book of Mormon, Jacob 2:30, states: "For if I will, saith the Lord of Hosts, raise up seed unto me, I will command my people; otherwise they shall hearken unto these things." The Utah LDS Church interprets this scripture to mean that if the Lord is going to raise up a people unto Him, then He will command them to practice polygamy. Again, the implication is that the purpose of polygamy is to procreate so that the Lord can have a righteous people. However, the most important evidence supporting this position is Utah LDS Church law about celestial marriage (polygamy). 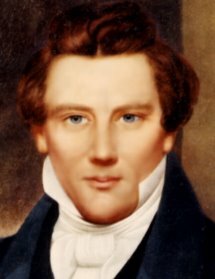 According to the Utah LDS Church, a revelation on celestial marriage (Section 132 of the Utah LDS Doctrine and Covenants) was written by Joseph in 1843, but God had revealed to him the principles and doctrines of this revelation as early as 1831. In part this document states, "for they [plural wives] are given unto him [the husband] to multiply and replenish the earth, according to my commandment..." (Utah LDS Doctrine and Covenants 132:63). Thus from the above references, including the law upon which celestial marriage was based in the Utah LDS Church, it is clear that a basic purpose of plural marriage was to procreate. As stated above, the Utah LDS Church alleges that Joseph was the one through whom God gave the celestial marriage law. If this is true, Joseph would have known from the revelation that procreation was a part of that law. And as the prophet and leader of the Church, he would have been obliged to obey that law of God to the fullest extent. If he didn't, he would lead his people away from God's promise that in eternity they would "be gods, because they have no end; therefore shall they be from everlasting to everlasting, because they continue; then shall they be above all, because all things are subject unto them. Then shall they be gods, because they have all power, and the angels are subject unto them" (Utah LDS Doctrine and Covenants 132:20). Therefore, if the Utah LDS Church and Community of Christ Church and most historians are correct that Joseph taught and practiced polygamy, he would have necessarily tried to father children by polygamous wives. This is true because, as shown above, procreation was a purpose of celestial marriage. And Joseph, as prophet and leader of the Church, knew the law and would have tried to obey it. In addition, the number of children he fathered with Emma (9 children born from 1828 to 1844) shows he had the ability to procreate during the time period that the Utah LDS Church alleges he knew about the doctrine of celestial marriage. Thus, if Joseph practiced polygamy, because of the law of celestial marriage, he would have fathered children by his polygamous wives. Half of the children alleged to have been fathered by Joseph and polygamous wives were proven by DNA not to be his children. Considering that procreation was a purpose of celestial marriage, these DNA results are strong evidence that Joseph didn't practice polygamy. And one day, when DNA evidence proves Joseph didn't father any children outside of his union with Emma, Joseph will be proven innocent of practicing polygamy. Joseph's Myth is all it is. ... So he was, indeed, the father of six of these children. This proves he was polygamist, to me. DNA studies have only been completed on six of the twelve. The remaining six have not been proved or disproved to be Joseph's biological children. Polygamy wasn't publicly exposed until After the move to Utah. Joseph was long dead. Wives were sealed to him After his death. No living progeny have ever been proven to be his children and that fact alone casts doubt on these women who swore that the children wereJoseph's. Their lies have besmirched an innocent man who fought against polygamy. I read the times & seasons in which Joseph Smith & Hyrum Smith continued to discipline anyone teaching or practicing poligamy, even in 1844. The D&C 132 was only seen by one man, and this is not evidence that Joseph wrote it. Emma his wife said that she had not been told about it at the time & heard about it later when Brigham Young included it in The D&C. Joseph Smith's journal was accessed and in Oct 1843 he had written 'one man, one woman'. The Book of Mormon condemns more than one wife, saying that it breaks the heart of the women & children. I am a latter-day saint. I have a testimony of God, of Jesus, of the Bible, of The Book of Mormon, of Joseph Smith. I do not have a testimony about Brigham Young or Poligamy. I took the matter to Heavenly Father in prayer and asked two questions... 1. Did Joseph Smith marry anyone other than Emma? 2. Did Emma tell the truth that she had not been shown D&C 132. I received the confirmation of a warm heart and peacefulness, & relief from the first question. The answer I received was 'No'. The answer to the second question was a warm & peaceful 'Yes'. So, for whatever reason, no matter what the stories, whatever the spin, I believe that Joseph Smith told the truth & that he refuted polygamy (also why would he practice it if he wrote the book of mormon about polygamy being an abomination? If he wanted to practice it he could have put that into the Book of Mormon if the Book of Mormon were fake & if he was a liar) but I have testimony & strong witness that The Book of Mormon is of God, and that Joseph Smith saw God in vision & translated the BOM by the power of the Holy Spirit. I love reading everything that Joseph said but D&C 132 does not ring true with how Joseph would refer to his wife, or how God would treat his children. It is an offence to me & I feel that it should be ripped out of the Scriptures as it is spurious & without foundation. God is the same yesterday, today & forever, The Book of Mormon speaks of having ONE wife, if it was meant to be otherwise then Adam would have had more wives, and also Noah, and Lehi etc etc... they all had ONE wife. I do not agree with the Words of Brigham Young in the Journal of Discourses & find his words to be totally without the Holy Ghost. It is a shame! But a man only speaks the words of God when touched by the spirit, other times they are the words of Man and this is the case with Brigham... I do not have any witness of his words. Thank you for your comments and sharing your testimony. I couldn't agree with you more. I have virtually the same background and personal experience on this matter. I agree 100%. Um... the Lord had his prophets practicing polygamy for thousands of years. Levirate marriage was the Israelite National Law - the law of God - that men who had no offspring and died, were to have their brothers come, and marry their wife or wives: those who wouldn't were subject to a penalty of having the wife remove the man's shoe and slap him or something and declare AS PART of the PENALTY of LAW that "thus shall it be said of him who won't honor his brother" or something. The construct polygamy's not a central part of the social teaching of the God of Adam and Abraham's just not even remotely real. I hate to offend anyone, but a possible interpretation of six of the twelve children not having Joseph Smith's DNA would be that he was being cuckolded. Is he known to have any children at all? What if, hypothetically speaking, his seed was infertile? It's been known to happen. If the goal of polygamy is children, and the husband is infertile, wives have been known to get a little help. Thank you for coming to my site, reading the post, and commenting. I think the fact that Joseph had 9 children with Emma, some during the period of time he allegedly had polygamous wives, proves he was very fertile. Since, as you put it, “the goal of polygamy is children,” Joseph would have necessarily fathered children from his alleged polygamous wives. Please keep in mind that the twelve children chosen for this testing were the ones that are considered most likely by tradition within the LDS Church to be his children. The fact that DNA is proving he didn’t father six of them is good indication he was not a polygamist. When the other six are proven not to be his children, the case should be closed that he was a polygamist. Absolutely. The proof is abundant that Joseph was not polygamous to anyone with an open mind. The argument over polygamy is a real revelation. It proves how few souls actually read the Book of Mormon, Doctrine and Covenants and the Bible. Hey is everyone still against the evidence that Joseph Smith was a polygamist now that the Church has come out and said that not only did JS have many wives, but some were teenagers as young as 14? It's really quite sad to see the apologist crowd trying their best to do their work as I am sure it hurts to be lied to. The Church did say they never did say JS didn't practice polygamy, so maybe you can use those lines of attack to try to patch your testimony. This must amount to at least a shadow of a doubt, however. The LDS Church's official statement that Joseph was a polygamist is merely their opinion. It hasn't changed mine. See my new blog post for my reasoning. I believe that prophets are not required to be perfect. I do believe that Joseph Smith did not practice polygamy. One sleepless night due to a severe injury I went in search to find out why he did polygamy via reading exactly what his words were on it and to my great surprise could only find his words fighting polygamy. I believe Brigham wanted something and used Joseph's pull to get it. I don't believe that means the church should be tossed to heck in a handbasket. I believe individuals are responsible for what they did in this life and if they believed that telling a little lie justified the means they believed in, they individually will be held accountable for their deception. My son was baptized by his dad who was completely unworthy at the time to do so, lied to do it, etc. My boy was so concerned that his baptism wouldn't be valid then. We took this concern to the bishop who said the responsibility was on his dad but that the intents of our hearts were to make a promise to God. He offered his belief that the baptism would be valid and separate from my husband's issue of lying in order to keep his reputation as some kind of "perfect mormon." I believe it's going to be like that for Brigham Young. If you believe in Satan then surely Satan would go after the top leaders in order to do the greatest harm to the largest group of people. To me that does not mean the gospel is wrong or the church isn't solid. It means people are idiots sometimes and prone to the "natural man" and go after their own desires, deciding to tell God what to do rather than humbly follow. I believe this is a case where Joseph has been falsely accused. All the wives I looked up and researched individually had some motive to say they had married Joseph. I couldn't find one wife that didn't have a connection to or an immediate motive to lie. If I remember right, Eliza Snow signed a petition with Emma saying that no one was practicing polygamy, that it was a lie. Yet years later, married to Brigham, she claims she was married to Joseph and polygamy was started by him. One of those is a lie. I know which one seems most plausible to me. New dna evidence shows that Josephine Lyon is not the daughter of Joseph Smith. Thanks so much for this link. Could Brian and Laura have talked around the importance of this finding any more than they did? I'm anxious to read Perego's findings when they are published. This is certainly a very large nail in the coffin burying the alleged polygamy of Joseph. Now, seven out of twelve alleged polygamous children of Joseph have been scientifically proved through DNA to not be his biological children. Pretty good batting average supporting Joseph's position that he was not a polygamist.